Looking for Bond Cleaning in Point Cook? Jaffle Jaffle Bond Cleaning Service is the answer for you, we are local to Point Cook and there is no job too big or small. We have professional trained and certified bond cleaners that can take care of all aspects in this area. Bond Cleaning is nothing like the normal weekly or monthly routine domestic cleaning, it requires a thorough clean from top to bottom and every corner will be scrutinized by the landlord or agent. In order for you to get your bond back, you will need to scrub everything from the floors to the windows and everything in between. We understand that you have enough to worry about and moving can be one of life’s most stressful events, so let us help you with get 100% of your bond back. 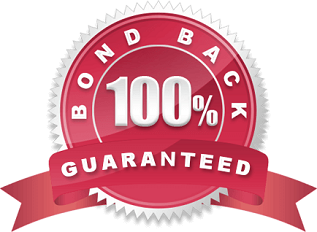 Our Guarantee is that, we will return to clean what is deemed unsatisfactory by your landlord or agent for FREE until you receive 100% of your bond money back, that’s our commitment and our promise. We are fully insured and licensed and can provide high quality bond cleaning in Point Cook. We use high quality equipment and cleaning products that are safe for you and the environment. Save time and money by hiring our cleaning professionals. We also can provide domestic cleaning, commercial office and retail cleaning, high pressure industrial cleaning, professional tile and grout cleaning and carpet steam cleaning services. If you think you can benefit from our bond cleaning services in Point Cook, don’t hesitate to contact us for a free quotation.